Yes, it has been almost 2 years since I have made the switch from DSLR to Mirrorless World. To be more precise, from Canon DSLR to Fujifilm. And I am happy with it. I will try to explain in just a few words why did I do it. As a passionate amateur photographer, I have felt I need something more than what a compact Panasonic Lumix with Leica name on it and superb OIS can offer. This was my first digital camera for photography and I was content. But then I have discovered things like Manual Exposure, Bokeh, fast autofocus, superb glass, lots of lenses, great ergonomics, huge battery autonomy, that “professional look”, full control of your settings, great IQ and superior performance at high ISO levels. All those things were incredibly interesting and made me forget the compact camera, pushing me to experiment more, expect more from my pictures. So I needed something new and better. At that time there were 3 models I was considering : Sony NEX 5, for its performance and great sensor (not a DSLR, though), Panasonic GH2, for its optics and superb video capabilities (not a real DSLR, either, even if it retains the design and ergonomics of DSLR world) and Canon EOS 60D for its great specifications and fantastic lens range. The strange thing is that “great video capabilities” was a very important factor at that time, when selecting one of the three competitors. The funny thing is that, excepting some little tests and small videos related to my family, I have zero serious videos captured with my digital camera (I rely on my smartphone for occasional video recording – always in a hurry, always on the go). 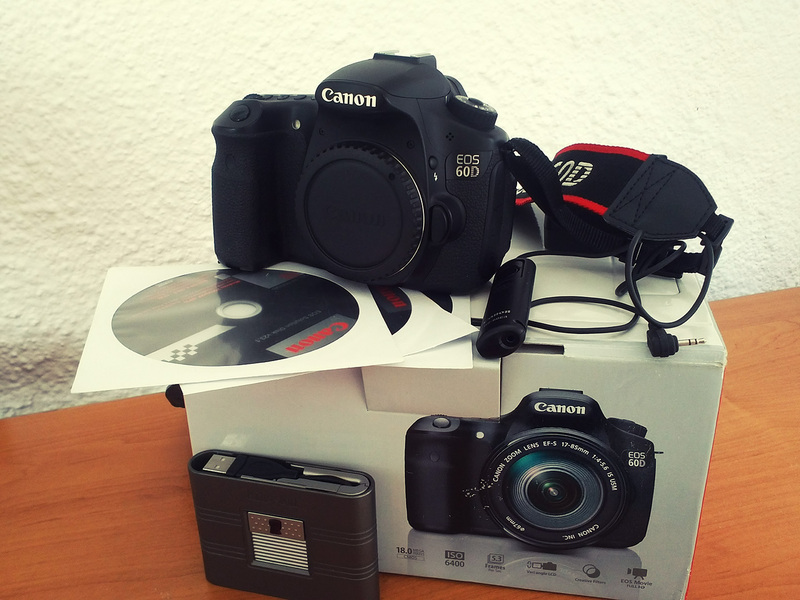 The final choice was Canon EOS 60D and it was the best choice for me. Great ergonomics, great battery life (over 1100 shots), some degree of weather sealing, amazing choice of lenses, tilt-swivel screen with great resolution, it was a cheaper 7D with less weather sealing, less focus points and less frames per second – it was the best deal for the money. I will not go deeper with the details on Canon DSLRs, there are some words about the gear I used to have on a previous article. What happened then? 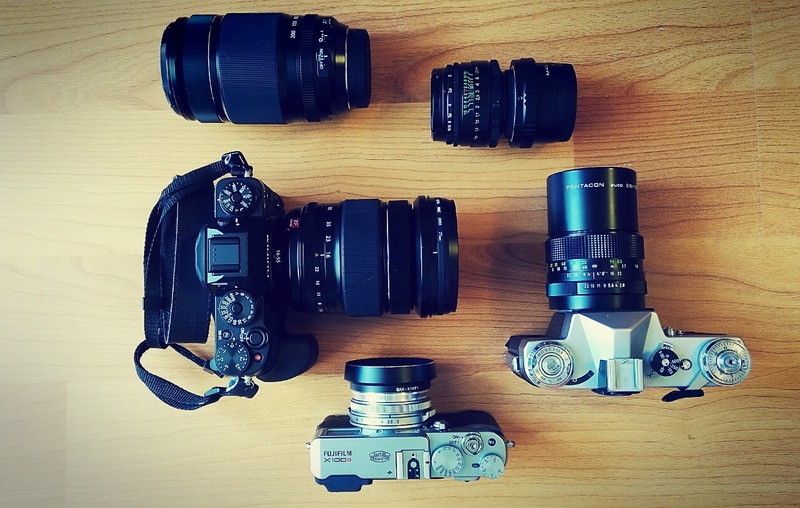 The Mirrorless concept started to grow online. Articles, reviews, tests, photos, stories about interesting models, but none of these as important as the launch of the revolution : the Fujifilm X100. Revolution? Why? Because it has a perfect design, an APS-C sensor and that hybrid viewfinder which is a pretty awesome concept. And more! I put a lot of emphasis on aesthetics. The Design! Yes, we have the technology, we have this amazing technical progress, there are “normal”, middle-level digital cameras that do things most of us could not dream about, some 20-30 years ago. What is all that good for if you don’t care about ergonomics, easy-to-use and handy controls, the touch of influential history in great camera design and a final shape that pleases the eyes and hands? Fujifilm did all those things, in my opinion. 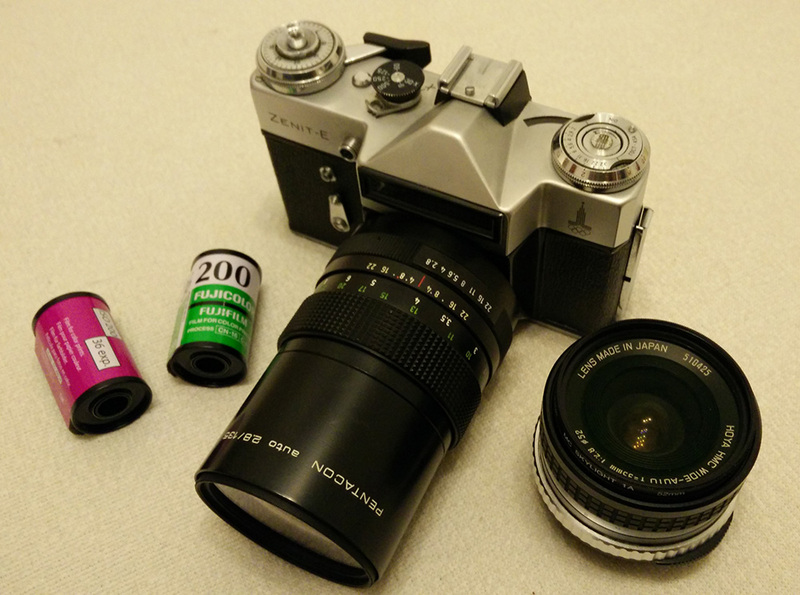 I like to shoot on film, sometimes, I use and love old legacy manual focus lenses and I really love the design of film cameras back in the 60s, 70s and 80s. I am not that old to really have any personal photographic history shooting with film cameras (I have started with a compact Lumix, remember? ), but there are some of us who really need to feel that historical connection with the past. There were great design concepts since the Film Era and some of us wanted to see them implemented in a modern digital camera. Fujifilm did just that. And there are some mirrorless cameras out there, with plenty of performance, but with no “photographer” feel. It doesn’t seem like a Camera, but just an electronic device that captures digital images – if you get my drift. With its unique design taken from the film era, with that rangefinder flavor, hybrid viewfinder (Optical, for those very attached to the DSLR habits and great for battery saving and Electronic, for all those benefits regarding exposure, 100% field coverage, great visibility in the dark and having all the info displayed right on your viewfinder, without feeling the need to use the LCD on the back of your camera), with a revolutionary X-Trans APS-C sensor, superb optics on their Fujinon lenses, with nice metal crafting and aperture ring (just like in the good old times) – I was permanently hooked by this powerful concept of a new, modern digital camera. What happened? I have sold my Canon with all my lenses and accessories (the tripod was the only item remaining) and said “hello” to a gorgeous Fuji X-Pro1 with 2 prime lenses, the XF 18mm F2.0 and the XF 35mm F1.4. And that is a thing of the past too, because now I use the gear that fits me the most. 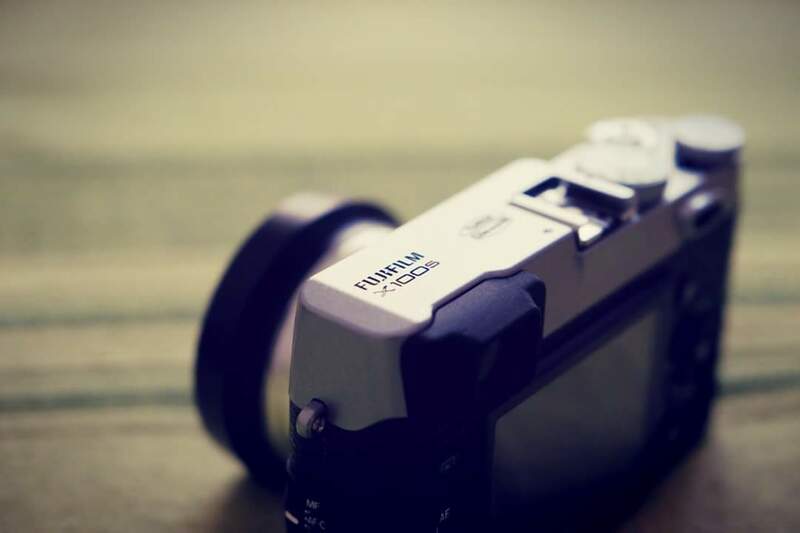 The Fuji X100S is one of my cameras I use. Then the Fuji X-T1 came along and completed my photographic gear. 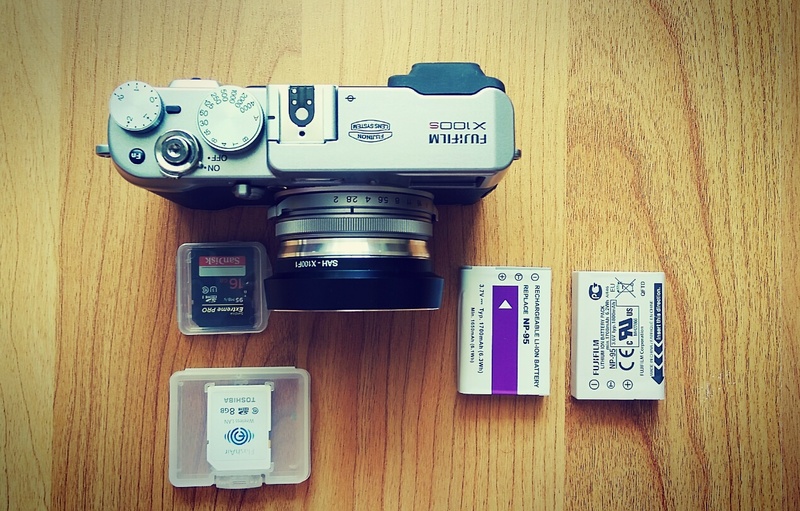 I have written in a previous article what is in my photo bag so you can have an idea about a complete transition (at my personal level) from DSLR to Mirrorless. 1. Too big and heavy and uncomfortable to bring it with me – “let the bag at home”- many opportunities missed, when I wished I had my camera with me. 2. Too big and heavy and uncomfortable to bring it with me – “let’s get the Canon bag anyway, to be prepared” – many times nothing relevant happened that my smartphone could not handle it and I had to sacrifice the freedom of my hands, shoulders, back. In conclusion? Well, I have made the switch from DSLR to Mirrorless, Fujifilm in particular, for more than a list of benefits : smaller, lighter, better image quality (at the same APS-C sensor levels – sometimes, with the right lens, you get the IQ from the Full Frame world), faster and better framing & composition due to the electronic viewfinder, hyper precision in focusing (contrast detection on sensor surface + phase detection pixels), completely silent shutter on X100 series due to the leaf shutter + 1/2000 sec flash sync speed (are you still refrain yourself from being amazed, or at least captivated? ), the fact that you remain inconspicuous and do not intimidate the people with that “the photographer guy” look, due to the smaller size of your camera, astonishing fast when using old manual focus lenses, due to the electronic Focus Peaking (just try to nail that focus on a DLSR’s optical viewfinder, in low light with a manual focus lens at F1.4 and tell me you get it right every time and quite fast) … and more. More? Yes, but I will finish my story with the design concept. The “photographer” feeling. The “thing” many of us were hoping to find in a digital camera, like the beautiful shape, nice polished metal (in an era of plastic fantastic), manual dials to quickly control every exposure setting without diving deep into complex menus (ISO Dial, Exposure Compensation Dial, Shutter Speed Dial, Aperture Ring on the lenses), that ageless look with a touch of lifetime reliability. For my type of photography, what I use now is what I have dreamed to use. Of course it will always be a newly launched lens with fantastic bokeh, great IQ in low light and superb optics / construction, but what I need right now is time. More time for photography, more opportunities to grow my creativity.